Supposedly quieter than 300BLK in subsonic use. Higher velocity with lighter bullets than 300BLK in supersonic use. 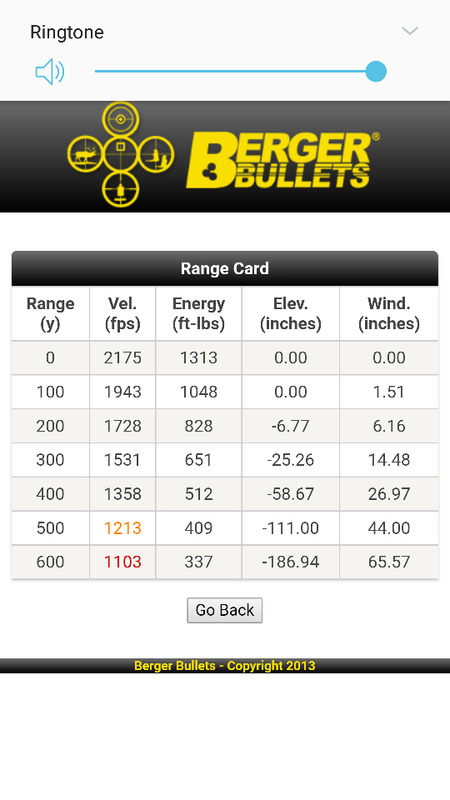 Looking at apples to apples (120-130gr bullets) the 277 and 300BLK don't appear to be all that different ballistically. Where the 277 shines is with 90 grain to 100 grain bullets. The small case capacity really does a good job with velocity. On paper it looks like the 277 rivals the 6.8 with 90 to 100 grain bullets. Available reloading data says the Wolverine is running to within 90% or so of what the SPC will do. Another plus, and a huge one in my book, is no proprietary magazines for the 277. While there are some good 6.8 mags on the market they're expensive, heavy and only hold 25 rounds. Or they're really long. I have a barrel and some ammo on order. Fingers crossed the cartridge will live up to the promise. Last edited by Tokarev; 05-25-17 at 07:01. Another big one appears to be that the 277 Wolverine will not chamber in a rifle built for 5.56. That's great if true, but remember that the 300BLK was originally claimed not to chamber in a 5.56. Turns out that's only true with certain bullet shapes, seating depths, and absence of bullet setback in the case. It's great to see innovation and I don't want to be a downer. This seems to have the most promise with those lighter bullets and 16" or longer barrels. The 90-100gr bullets don't have great BCs though. The .223 Rem case is pretty small and all these wildcats are eking out the last .1% of benefit. An extra 5 grains of case capacity would make a big difference, and 10 would be huge. Obviously that doesn't seem to be possible with the standard size magazines and bolts. Product reviews stating "Only 4 stars because I haven't used it yet" are an idiot's signature. An interesting new creation is the 22 Nosler and this case might become the next big thing as far as wildcatters are concerned. With its rebated rim it would only require a new barrel and a 6.8 magazine. Maybe we'll see something like the 6mm Hagar or some type of 6.5 target cartridge based on the Nosler case. Of course one of the big draws to the 300BLK and the 277WLV is the availability of cheap 223 parent cases. I still don't see why the 6.5mm and especially the 6mm wildcats in the .223 case haven't taken off with the better BCs you get. That's probably because the case would have to be shortened even more to make use of the long 6mm and 6.5mm bullets; further reducing the case's powder capacity. With that said, the 6mm Mongoose looks interesting although it partially relies on a longer barrel to achieve decent velocities. This case seems like it might be the "sweet spot" in terms of a do it all cartridge that 300blk wanted to be. Really interested to see what results you get with testing. I agree. If the 277 works in the "real world" like it does on paper it should be a dandy AR cartridge. I received my used barrel today. I picked it up off another forum and the previous owner says he only had about a hundred rounds through it. This is a 12.5 inch 1X7 twist with a pistol gas system. It was originally sold by Mad Dog Weapons but I believe it was actually made for them by a company out of Montana called X-Caliber. X-Caliber offers 277 Wolverine barrels in various lengths, twists and profiles and is running a 10-12 week delivery timeframe. Anyway the fellow I bought from included a few rounds of ammo loaded with Speer 90gr TNT bullets. Chronograph shows about 2450fps. He also sent some ammo loaded with 110gr VMAX. I haven't chrono'ed these yet but will soon. I used the small handful of 90gr stuff to check function and get windage dialed in. Hopefully over the next few days I'll get the VMAX stuff shot at 50 and 100 yards. I also found a set of Hornady dies off arfcom. I'll get to reloading ASAP. Last edited by Tokarev; 04-24-17 at 16:36. Here are a couple of simple charts I made using the ballistic coefficients off the Speer website for the 90gr .277 TNT and the 125gr .308 TNT. Muzzle velocities are based off guestimates from a 12.5in barrel. The 277 has a slight edge in trajectory out to about 350 yards but both cartridges run out of steam at about 400 yards. And the energy numbers are higher for the 300BLK. 300 on the top. 277 on the bottom. Nice, I was looking up 6.8 spec trajectories today cause I wondered how it compares to 300blk. Seems the 277 is a 'little' flatter than 300blk. Is it general consensus that the larger bores do better than 223 in shorter barrels? I was also looking on midway and found Hornady HPBT 110gr at .23 cents a round. With a bc of 360 it looks like something you could mass load. One of the big things I won't go near 6.8 or 6.5 is a lack of cheap brass. That was a huge draw to 300blk was reloading. .277 wolverine seems like a very good reloaders cartridge. Even if there was another scare it likely wouldn't affect these components.